Last week, in Sydney, Australia, I attended my first OpenStack Summit. As a relative newcomer to this community, I felt compelled to share my thoughts and experiences from the event. There is no question this is a dynamic community. OpenStack Foundation Executive Director Jonathan Bryce’s keynote helped set the right tone for the Summit, laying out an expanded charter for the OpenStack Foundation. This new direction incorporates important areas, such as container security and edge computing, to better serve the needs of the ecosystem. An open approach to infrastructure is a key focus for my team in the Intel Open Source Technology Center. I was very encouraged by the opportunities we have to work more closely with the OpenStack community on areas that are critical to our shared success. Jonathan’s keynote also introduced the OpenLab, led by Huawei, Intel, VEXXHOST, and Open Telekom Cloud. OpenLab is a place where members of the community can collaborate around integration and testing of open source cloud ecosystem tooling – such as Kubernetes, Terraform, software development kits (SDKs), and more – with OpenStack. I’m very excited that Intel is helping lead this important effort. We strongly believe OpenLab will be an asset to the community as we work together to create more complete open infrastructure solutions, rather than individual building blocks. The Superuser Award is one of my favorite parts of the Summit, recognizing where community members and operators are doing great work on top of the OpenStack platform. I was thrilled to see the results being shared from the teams at Tencent, China Railway, China UnionPay, and City Network. Intel’s Open Source Technology Center supported many of the teams’ development efforts. Tencent’s Tstack won the Superuser award which is pretty tremendous. We were also lucky to be joined by finalist China Railway in a joint technical session sharing more details of their OpenStack implementation on an 800 physical node cluster of Intel® Xeon® processor-based servers. 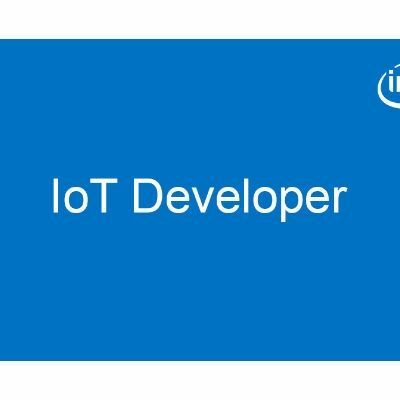 There was a lot of interest across the community in advancing Open Stack development, as well as in Intel software such as the Data Plane Developer Kit, Intel® Data Center Manager, Enhanced Platform Awareness and more. In addition, I had the privilege of participating on a Women of OpenStack (WOO) panel about diversity and inclusion. The OpenStack Foundation actively cultivates diverse voices in the open source community, and that has resulted in continually increasing gender representation over the last several years. One highlight for me was the vibrant discussion in cultivating geographic, language and other types of diversity, and the out of the box thinking on language translation. It was gratifying to see how all of the community’s diversity is being embraced globally. I was also proud to be one of Intel’s representatives at the Women of OpenStack Networking Lunch, where I was warmly welcomed and had several meaningful conversations with some amazing people. Thank you, OpenStack community, for putting on such a great event. I had a wonderful experience and look forward to continuing the conversation and momentum in 2018. See you in Vancouver!